"He told me all he could see was death," recalls Mola, a 30-year-old mother of six, as she sat slumped on the floor in her small hut. Even if the vaccine helps, there are serious hurdles. The shots must be transported deep into forests with few paved roads without it spoiling in the heat. Health workers have to identify and track down anyone who's had contact with a sick person. Hardest of all, they must persuade a scared and wary population that shots pushed by foreigners could save their lives. 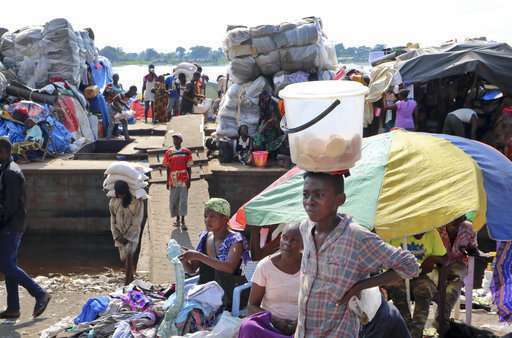 "Communities themselves must be at the center of the response if the activities are going to be effective," said Jonathan Polonsky of the World Health Organization, a surveillance coordinator in Mbandaka, a city of more than 1 million in northwestern Congo. Mola's six children have all been vaccinated. 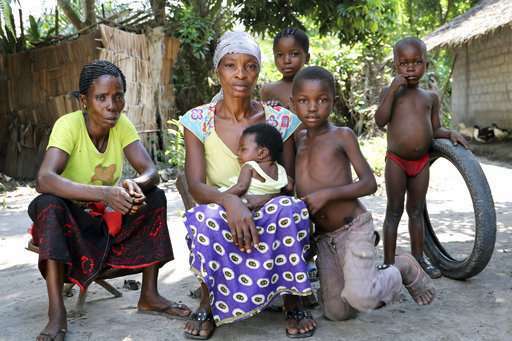 But she refused, telling government social workers and WHO workers that she didn't believe her husband died from Ebola. She said the hospital never showed her records confirming he'd tested positive for the virus. There's no guarantee the long-sought vaccine will help stop the outbreak. But Congo's health ministry and the WHO rushed in 7,500 doses, created by the Public Health Agency of Canada and owned by Merck. The plan: What's called "ring vaccination," to find and vaccinate everyone who's had direct contact with a sick person—the first "ring"—and then contacts of those people, too, to break the chain of infection. 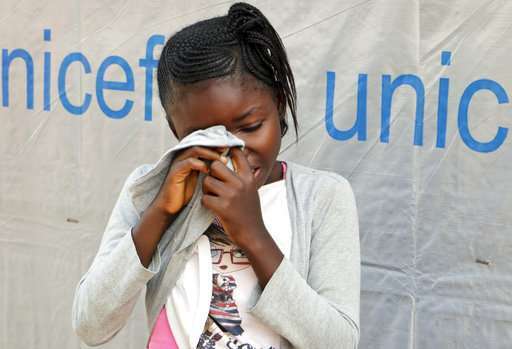 Last month, 11-year-old German Umba and her 6-year-old brother lost their father to Ebola. Both were vaccinated. But a shot alone doesn't end the worry. U.N. workers monitor the children several times a day for fevers, an early symptom, until the incubation period passes. Standing in the yard outside her classroom at school the young girl suddenly bursts into tears. Surrounded by aid workers, classmates and teachers who are unable to touch and console her, she buries her face in her shirt. "I just miss my father," she says. "If you detect cases late, you're missing the opportunity to protect people," said Dr. Iza Ciglenecki, who is working on the vaccination campaign with Doctors Without Borders. 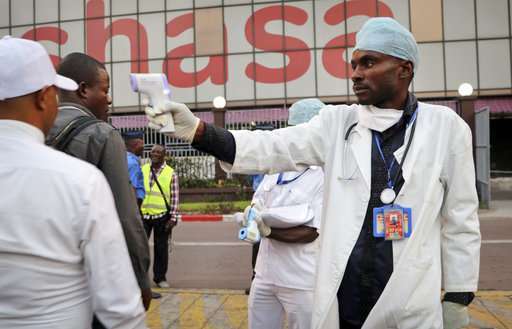 Congo's current outbreak has killed 14 people so far, according to the country's Ministry of Health. There have been 38 confirmed infections. Friday, WHO emergency response chief Peter Salama said many people vaccinated in Mbandaka received the shots more than 10 days ago, meaning they're now protected—the vaccine has had time to kick in. 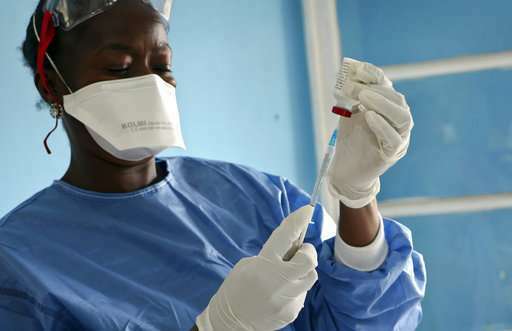 "The roads are so bad that even if a person gets vaccinated it can be too late and they can still die," said Rosy Boyekwa Yamba, a regional representative for the Ministry of Health in Mbandaka. 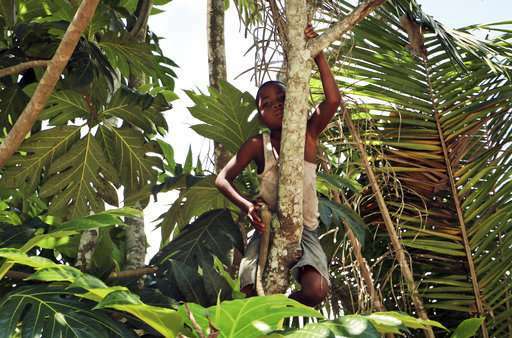 Yamba also worries that potentially infected people aren't being found. Five such people came forward last week in Mbandaka after he pleaded with community members to "be honest with him" about whether they'd been in contact with someone who had the disease. 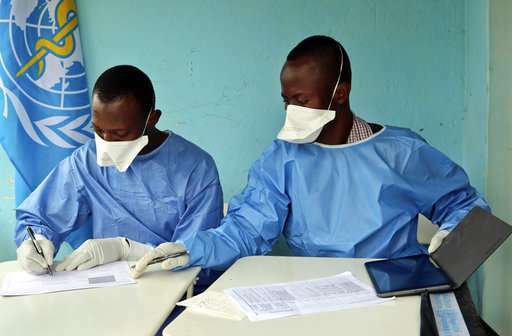 So far more than 2,000 people, including front-line health workers, have been vaccinated in Mbandaka and the rural villages of Bikoro and Iboko where confirmed cases have been found, says the Congo's Ministry of Health. 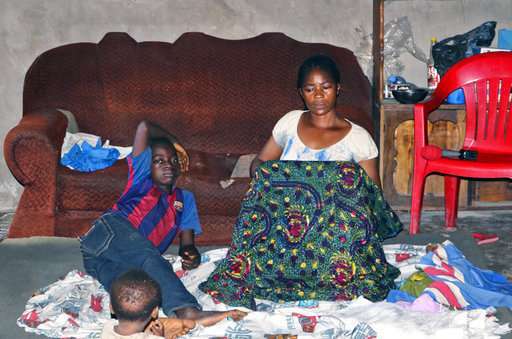 Mola's refusal to believe that Ebola killed her husband is a common reaction in the region. 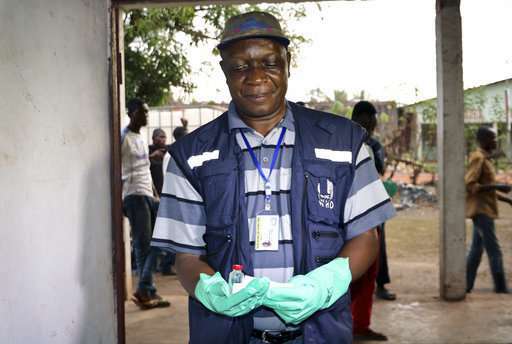 While many in Mbandaka have taken to washing hands and avoiding physical contact amid the outbreak, many also remain skeptical. They often don't trust a government they say is corrupt. 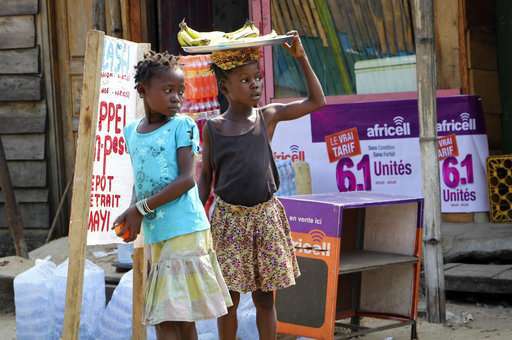 Of the dozens of people The Associated Press spoke to on a recent visit, nearly all said they don't believe Ebola exists and referred to it as witchcraft. 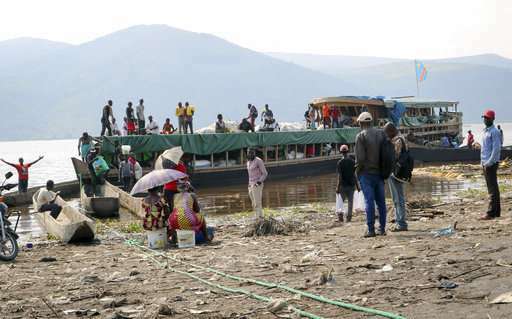 This is Congo's ninth outbreak but illnesses are usually in remote areas, not cities. 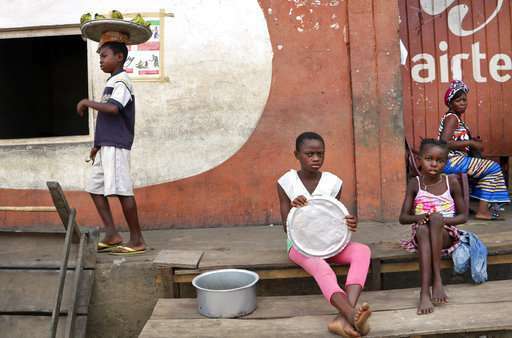 "Ebola is not here," said local resident Aziza Monzu. "It's a disease created by organizations to get money." Dr. Pierre Rollin, an Ebola expert with the U.S. Centers for Disease Control and Prevention, understands. "People die every day and everywhere but nobody's interested. 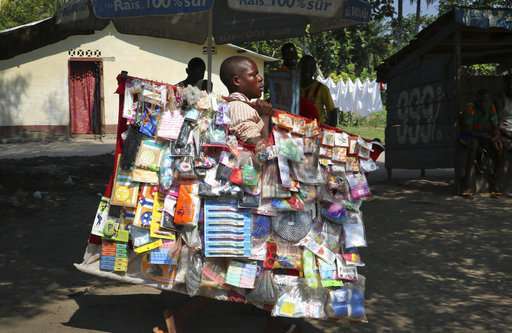 Suddenly because of Ebola people are interested and that makes you suspicious," he said. "Why would they trust us?" Mola seems to have escaped infection. The incubation period for Ebola is up to 21 days and her husband died three weeks ago. "I'm still here," she said. Still, WHO officials say three quarters of those who have been approached have agreed to a shot since the campaign started two weeks ago. 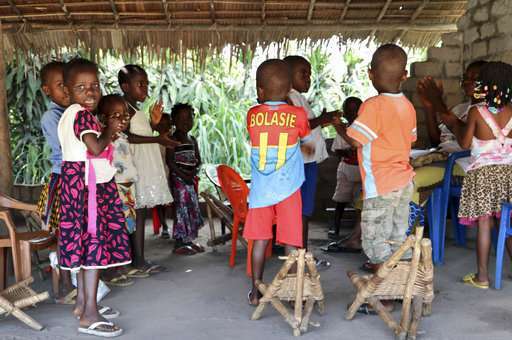 Once you've got people on board "you've tackled 90 percent of the problem," said Dr. Alhassane Touré, the WHO coordinator for ring vaccination in Congo and Guinea. "We could see is another introduction of someone that comes from Itipo (a village in Iboko) or somewhere else to see family (in Mbandaka)," said CDC's Rollin. In the last few days there's been a big push in Itipo, the epicenter of the outbreak with 24 confirmed cases, to retrace people and vaccinate contacts as well as health workers, he said. No matter how the outbreak unfolds Rollin says it will be nearly impossible to say whether the vaccine worked to stop the disease's spread. "We can say the vaccine plus all the other measures work, but you can't say the vaccine by itself works," he said. In order to do that a controlled test would have to be run where in one place only the vaccine is being used and in another it's not being used at all. Next year, Merck plans to seek approval of the vaccine from the U.S. Food and Drug Administration, based on previous studies of the shots. 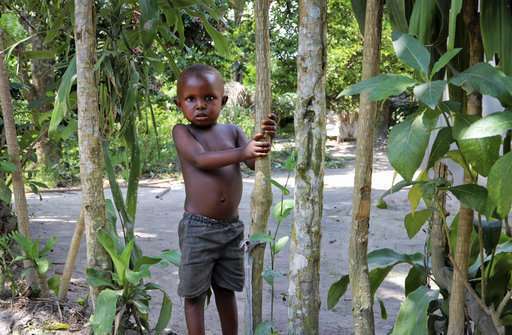 While the vaccine isn't being formally studied in the current Congo outbreak, regulatory authorities would want to know if unforeseen side effects crop up. 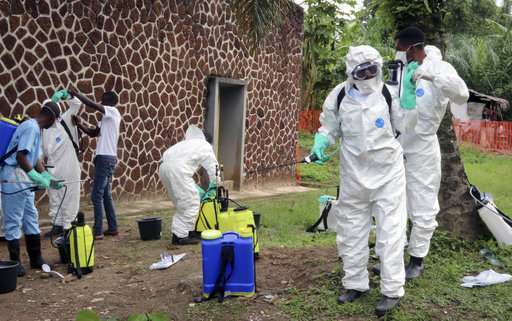 "If it's fully approved then in each outbreak it'll be the first measure and could be used all over the region," Dr. Jean-Jacques Muyembe, director general of the National Institute for Biomedical Research in Kinshasa told the AP. In West Africa, a large study is underway that compares the Merck shot and a second vaccine candidate made by Janssen Pharmaceuticals to determine best vaccination strategies and track how long protection lasts. Seated in a yard in the center of town, Mbandaka resident Marie Louise proudly slaps her vaccination papers on the table. She had cradled her grandson in her arms as he vomited blood on the hospital floor, and he later died. 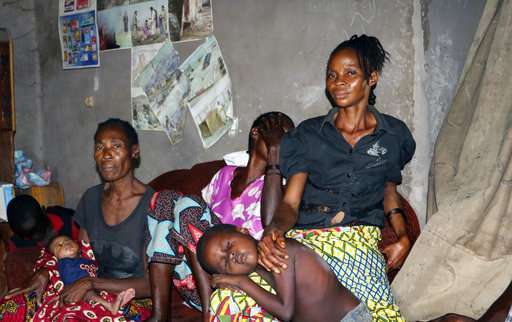 His case wasn't officially confirmed as Ebola, but she knew she needed to get vaccinated. Tapping her arm where she was given the needle, the 68-year-old beams. "Give me the vaccine," she says. "I get life with the vaccine."